Since I came back from Iceland, people are asking me, “Is it really THAT beautiful”? But if it wasn’t for this staggering beauty, I would advise everyone to stay as away as possible from this country – and not because of the risk of volcanic eruptions, crazy weather, and rocket high prices. Before I start Complaining, here’s a movie I made there – undoubtly one of the most epic sceneries on Earth. I am accustomed that being in the wild brings you only good emotions. Smell of freshly mown grass,gentle feel of tree bark, lazy cigarettte with a mountain view, bike ride along the river, bathing in the waterfalls, etc. After each excursion I return with my internal batteries charged, happy like a fool. Ready to spend next couple of weeks looking just at my comp or outside of the window with quite unatractive neighbourhod view in the centre of Poznan. 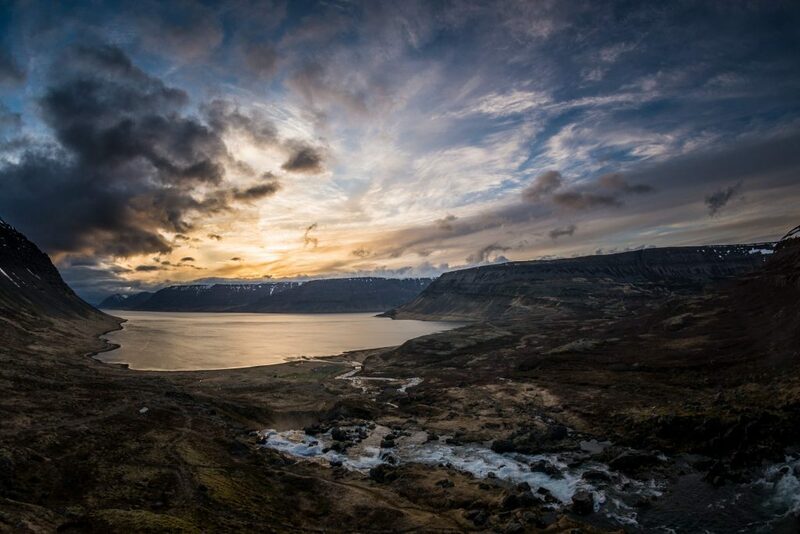 In Iceland, the landscapes and places are often spectacular, but here I found an ugly trait in myself – selfishness. I would like to have them only for myself, maybe also for those few good people who came here with me. I would even tolerate couple of others who had struggled to get here to enjoy the beauty of Nature. I would eagerly push off the cliff all those tourists who jump in just for a moment, only to turn their butts against the site and make quick, sweet selfie. Well I know it’s bad to think so. After all, everyone has the right to make a tour according to his own liking, and I know that for for all those other tourists the undesirable element is me. Fortunately, the Icelanders are on my side. The rapid tourist boom (almost 500% in the past 7 years) has virtually eliminated unemployment, ended the severe economic crisis following the collapse of the economy in 2008 (tourism is currently 33.9% of GDP*) and significantly boosted the island’s ego. Before they noticed, there was 7 times more tourists than locals, and 10% of the permanent population of the country is now foreigners (Poles on the first place, of course – more than 10k). 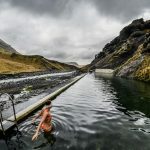 I wrote recently about the consequences, Icelanders began to wonder if and how they should build a dam on this tourist river. And if they’re good at building anything, that are dams. They’re nuts, just like beavers, building more and more hydropower plants for growing aluminum smelter industry – the third most important sector of their economy. How to eat a cake and have a cake? Here’s what the government is all about. They didn’t manage to introduce so-called “nature pass”, a general entrance fee to all attractions. More and more owners of the wonders of nature are thinking about introducing their own fees. You have to know that vast majority of waterfalls, rivers and even volcanoes have their owners. At least somebody owns the land on which they are located / through which they flow. All “farmers” are descendants of Vikings, and their property titles sometimes count for almost a thousand years. Everyone is tempted to make a little (or rather quite a lot) money, but “free passage” tradition is equally holy. Or it used to be. 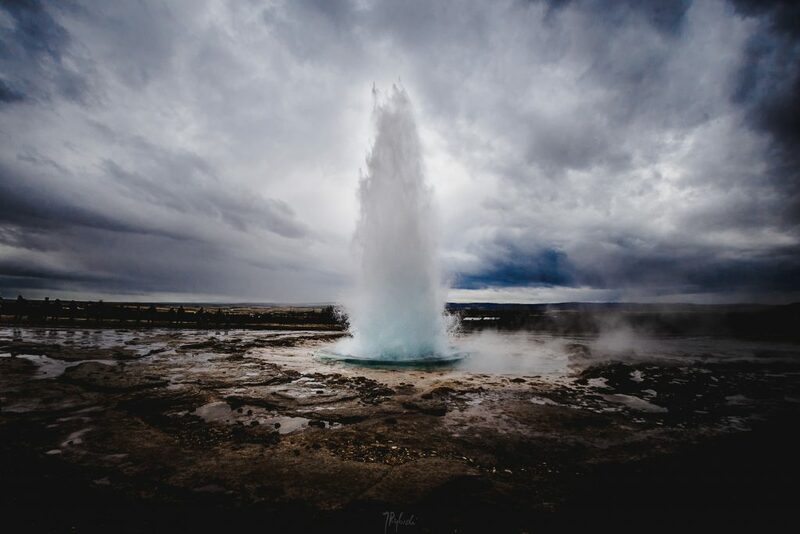 The first bastions have already fallen away – for couple of years now you have to pay to seeKerith crater, and this year they want to introduce fees at Iceland most powerful waterfall Dettifoss. Where did the sudden popularity of the “island of ice and fire” come from? Icelanders believe that it is due to the Eyjafjallajökull (I really managed to learn how to pronounce it:D) volcano, which paralyzed air traffic in Europe in 2010 and gave a free advertisement of the island all over world’s biggest media (on a smaller scale it happened first in 2008 in the wake of the banking crisis. But banks are more complicated than a smoking hole in the ground, so it did not attract such attention of mass audience). The second reason was the Arab Spring, which was also accidentally exploded in 2010 (Coincidence? Or… diabolical plan of come crazy Icelandic PR agency?) Terrorist attack threat in such popular destinations as Tunisia, Egypt and Turkey has made tourists to start looking for “safer” places. 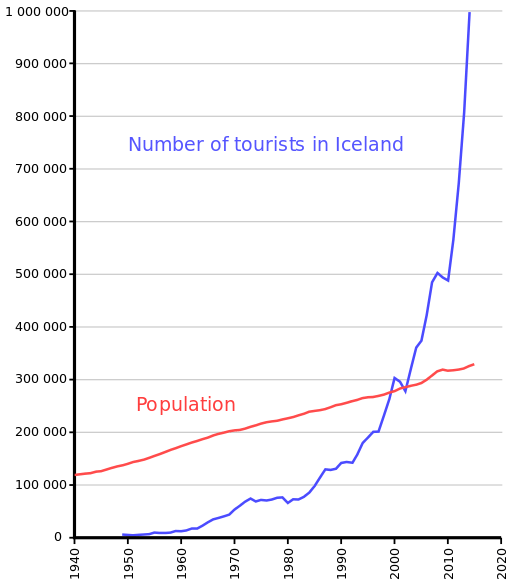 Thirdly, although it is difficult to say whether it’s the cause or effect of the boom, Iceland (or rather its landscapes) is beloved by Hollywood. An interesting list of Icelandic moments you will find here, though there is no Prometheus opening scene and a stupid, but spectacular scene on the Mývatn Lake from the Fast and the Furious 8. It is probably the most idiotic car chase in history of Bond movies. Okay, so what is puffinization? 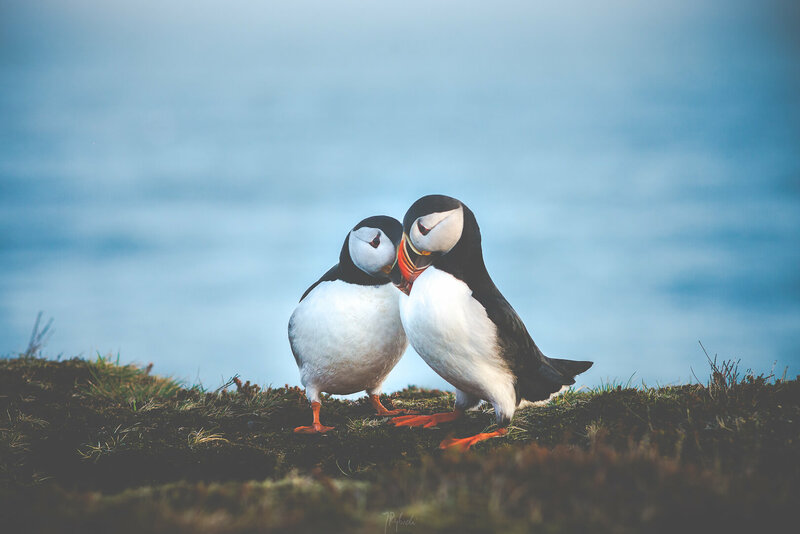 Puffin is a cute, colorful bird which has become a symbol of Iceland. They are truly beautiful, elegant and comic at the same time. 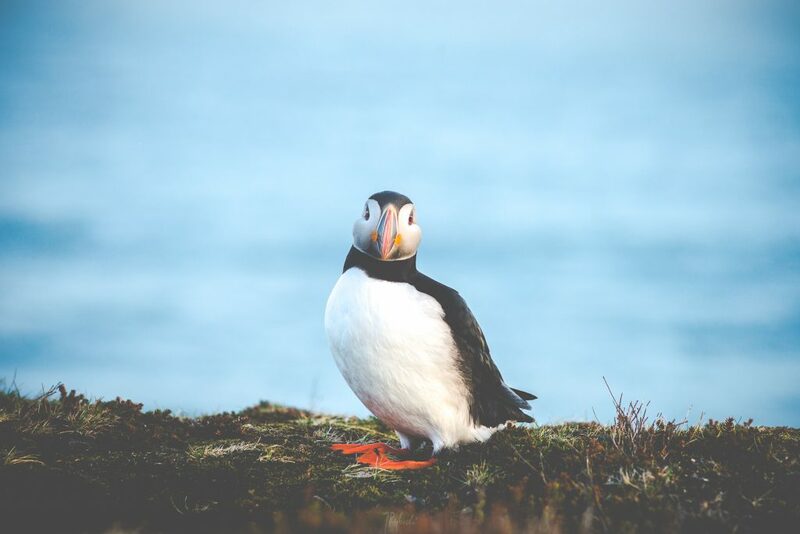 Puffins are found on cliffs andon a plate, marinated or smoked. They do not taste like chicken, but like fish. Strange. I didn’t have a chance to try, because as a typical Pole I was eating can food. I explained my cuisine ignorance by a fact that those birds in serious trouble. And not because of the irresponsible gluttony of Icelanders (despite the fact that obesity is a serious problem here), nor the excess numbers of ornithologists who want to peep into the intimate bird’s love scenes. The problem is primarily the climate change that causes ecosystem disturbances. 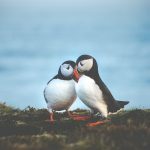 Local press reports that 83% of young puffins died from food shortages this year on the islands of Vestmannaeyjar (the world’s largest puffin colony). But puffinisation is about a change. Reykjavik’s change of appearance, for instance. The center of the capital was turned into a big market with 1000 kinds of cute plush puffin mascots. I admit that I was tempted by a puffin-shaped hat, but the price has cooled my enthusiasm. In the countryside, half of the farms is now Airbnb. Even gas stations, along with gasoline, oils and all these automotive gear sell mandatory puffin gadgets! Even more important, however, is the change in perception of the country by foreigners. Icelanders would like to be seen as proud Vikings descendants, a Nordic country of success, a hatchery of world-class artists. Meanwhile, more and more often we forget about the Icelanders, focusing rather on Iceland. Waterfalls, moss, volcanoes, sweet puffins, winds, and even sperm whales in the surrounding ocean. We don’t really think about local, as we don’t see them so often. Americans, Chinese, Poles, French – yes. 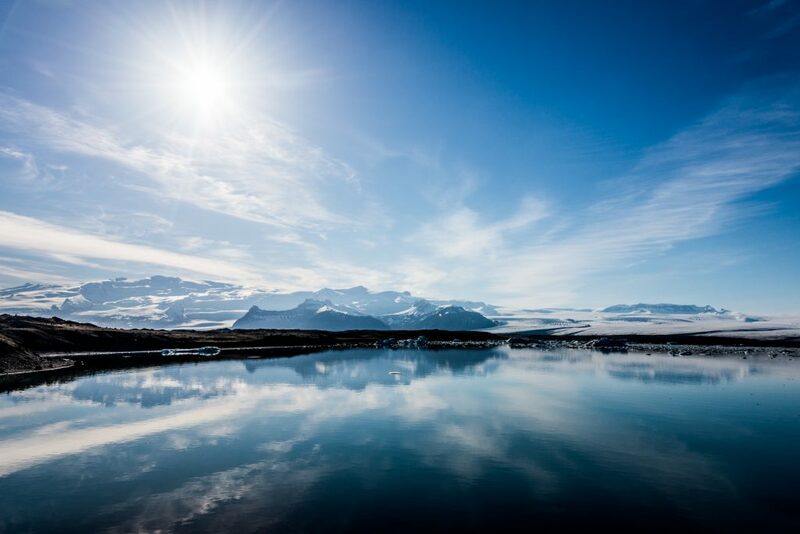 The Icelanders are as rare as hen’s teeth, so we take for granted clichés heard here and there: they believe in trolls and elves, they party late at night, and all parties look just like in Reykjavik’s 101 movie. They are friendly folks, but better don’t piss them off – several governments and dozens of “banksters” know that, as well as England football team. They were singing nice viking songs during World Cup, and probably that’s why they reached the quarter-finals, which was lovely too. Well, well, such a small but vigorous country. The Icelanders were so happy after winning the match with England that after 9 months hospitals recorded a significant increase in births (in the local conditions it will be several dozens). And Björk, of course. They have Björk and those other bands with strange names. Except Emiliana Torrini Davíðsdóttir. Davíðsdóttir, ha! Did you know that?! So, we’re all happy about the clichés, not trying to penetrate the Icelandic soul. We do not bother with the problems of young people who can’t afford an apartment despite the development boom. Anyone with a room, couch or a floor puts it on airbnb, and tourists book them at least half a year in advance. Flats are goldmines now, but their prices soared (as did the Icelandic crown) so high that only few can afford it. Big profits from tourism are not shared equally, and if you are a simple link in touristic chain, you can forget about savings. But who would like to get into Icelandic problems? Anyway, what are these problems compared to Europe? If you’re not in the mood to dive into icelandic problems that’s fine, there’s nothing wrong with that. Just remember that you are trapped in a naive, puffin paradise. In a plush cage. Nice chart offered by wikipedia. Looks pretty good, right? If you look at the source, it turns out that it’s from 2015, when tourists were “only” 1.26 million, which is a whole million less than they expect in 2017. So imagine this curve updated to the current state. For those interested – here’s link to the report on the state of tourism (May 2016). A lot of curious and interesting graphs, from which we will find eg that in April is 60% less tourists than in July and August. *5% GDP according toWikipedia, which seems totally impossible. The number above is taken from the World Travel and Tourism Council report, which represents 7% of direct contribution to GDP in 2016 and projects 8% in 2017, while the overall contribution of tourism and travel to the economy (also indirectly) is stunning 33.9%. I didn’t invent term “puffinisation”. I found it here.